You know when you have an idea and its like a seed that takes root. I had that experience the other night which sounds great however it meant I barely slept as I planned how big this tree could grow. A few days later and that root feels like it has spread throughout my body. Those braids you see in a pineapple are not braids but the tree growing I promise. Anywho, enough about trees and let me explain what I mean. A few months ago I was invited to the start up of a Mastermind group, which was a group of like minded creative people. We meet once a month and we are all accountable to each other. The first meeting that we had I met 3 people, Simone, a lady who is a business mentor, in my mind, Ricky the owner of a children’s charity and Diego Blanco a brand ambassador. After our meeting I felt motivated, however, some reflection was necessary. Why? After speaking to Simone, I realised I was spreading myself thin, which meant I was not focusing on the things that were important to me. I was doing YouTube videos that were non relevant to me being a writer, I was planning modelling jobs and god knows what else but they were unnecessary extras that were convoluting my focus. I AM A WRITER!!!! So we sat and this group of individuals helped me with my creative vision, I am grateful for their feedback. Yet Simone was not at that meeting for me to tell her how focused I was because of our initial conversation. Thursday morning finally came along and I decided to call Simone to tell her about my poetry and also how she had made me focus. It was so nice to share with her what she had done for me especially the fact she did not realise that she had inspired me to get organised like that. After explaining to her what she had missed at the meeting, I started to tell her about my Poems and why I wrote them. She loved the concept but enquired about Melanin, the meaning? What it was? Another test she was posing to me or making me accountable for. Simone was right and then she suggested a poem to explain Melanin and what it is and why it is important. There are a lot of people out there that do not know however right now I am only concerned with you reading this because for some reason you have stumbled across this blog. 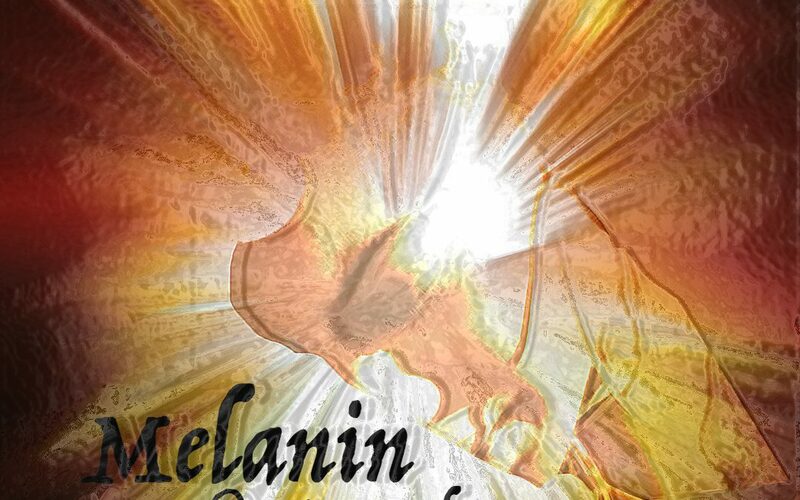 So let me explain to you what Melanin is and you will realise why that is the word I have used in my Poetry. Thank you Simone for keeping me accountable and to you Ricky for giving me information for me to research. However, you are also the reason for so many different Genocides. A pigment some crave yet a lot of people attempt to quell. Can often cause headache and shatter people’s dreams. However, if your questioning who has Melanin? It is not ‘Black’ people alone. Because if you have red hair that’s a type of Melanin too. Yet the cells that affect the skin are the only ones that make people care. Including the stories of girls missing globally so they can steal their Melanin. Go teach yourself, research and read another book. But why is this important you ask as you read this verse? Because they’ll say having a lot of Melanin is bad and a curse. The kind of words when heard a lot will turn you into a fighter. Because Melanin is much more precious than Bronze, Silver and Gold. Gold is only worth $53 a gram but they had and they disguise. However, sometimes we need to be challenged and put to a test. To tell you we shoud love each other and not listen to another lie. We need to keep breaking down barriers like he did before us.